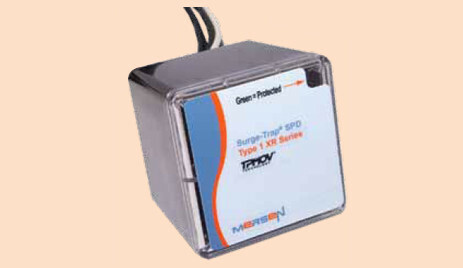 The Mersen Surge-Trap Type 1 XR Series meets requirements for UL1449 Third Edition and is ideal for the replacement of obsolete surge arrestors. The XR Series SPD feature TPMOV® technology inside making them the safest product available. With a small, compact design and line or load installation flexibility the XR series is the perfect fit from service entrance all the way down to a specific control panel. Download the Mersen Surge-Trap Type 1 XR Series spec sheet below or call 714.835.6211 for more information.